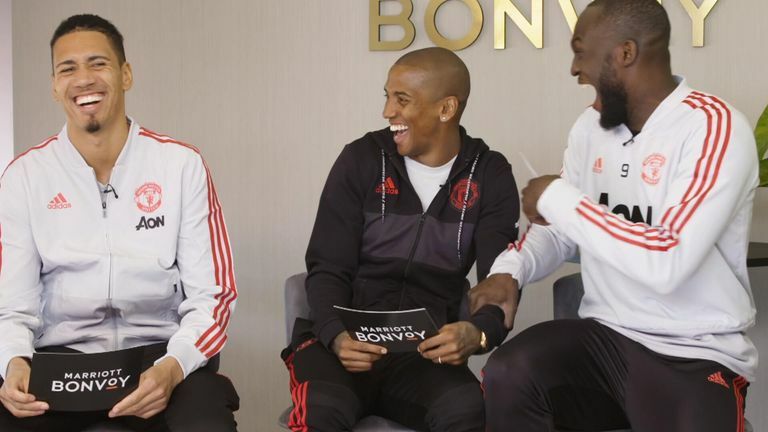 Marriott Bonvoy, the official Hotel Loyalty Partner of Manchester United caught up with Chris Smalling, Ashley Young, and Romelu Lukaku in a light-hearted video revealing the truth about the first-team players’ travel habits. The trio are given a series of questions about their team-mates who often travel to games together, including Tuesday's Champions League quarter-final second leg game against Barcelona. They reveal things such as who often forgets their passport and international adaptors, what box sets people what and who would be most likely to visit a museum. Hit play on the video above and follow Barcelona vs Man Utd in the Champions League across Sky Sports' digital platforms on Tuesday.